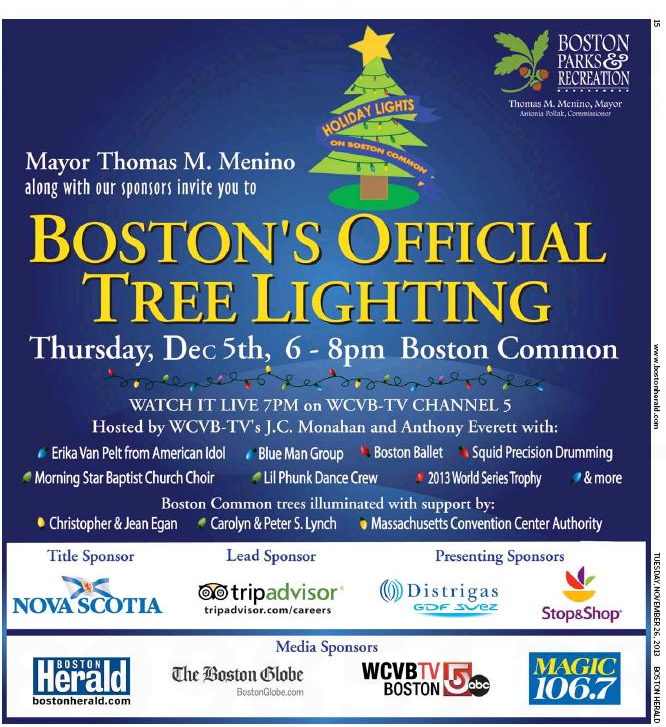 Yesterday the hardreading staff chronicled the Great Boston Official Tree Lighting Snub delivered to the Herald by Boston Mayor Tom Menino. Of course we fully expected a makeup in today’s edition of the frosted local tabloid. And there it is, smack dab on Page 15. So now the Globe and Herald are even. This entry was posted on Tuesday, November 26th, 2013 at 3:24 pm and is filed under Uncategorized. You can follow any responses to this entry through the RSS 2.0 feed. You can leave a response, or trackback from your own site.